Leland D. Shaeffer, founder and managing director, helps companies bring better products to market faster, using fewer resources, by helping them implement or improve development and product lifecycle management processes. In addition to increasing market penetration and bottom line results for commercial products and services, he applies product management principals to help IT departments serve their internal customers. 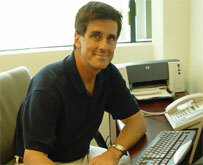 Mr. Shaeffer's areas of expertise also include product management/marketing, branding and customer experience. He brings a strong combination of analytical skill and practical experience to the problems of marketing and of managing product lifecycles. For over 20 years, Mr. Shaeffer has been involved in product management and development for high-technology companies and recently for consumer products companies. He has held senior positions in product management, engineering and marketing at companies ranging from venture capital backed start-ups to Apple Computer, Convergent Technologies/Unisys, Imagery/Eastman Kodak, and Siliconix/Vishay. Mr. Shaeffer also was a consultant at McKinsey & Company, where he specialized in product/market strategy. Lee is Vice Chairman Emeritus of the Product Development and Management Association (PDMA). He founded and served as the first president of the Los Angeles Chapter of the PDMA (PDMA-Los Angeles). He is an Authorized Testing Partner for the Association of International Product Marketing and Management (AIPMM) and serves on its advisory board. He also has been active in the Technology Council of Southern California and the Project Management Institute. Mr. Shaeffer holds a BS in electrical engineering from the Massachusetts Institute of Technology and a MBA from Stanford University. 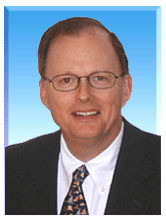 Don Reinertsen, president of Reinertsen & Associates, specializes in the management of the product development process. Before forming his own firm, he consulted at McKinsey & Company, an international management consulting firm, and was senior vice president of operations at Zimmerman Holdings, a private diversified manufacturing company. His contributions in the field of product development are internationally recognized. Mr. Reinertsen has worked with companies ranging from Fortune 500 Baldrige Award winners to small venture-capital backed start-ups. He holds an MBA with distinction from Harvard Business School and a BS in electrical engineering from Cornell University. James S. (Jim) Twerdahl, James S. Twerdahl & Associates, is a seasoned executive in consumer electronics and other consumer products. He has been Chairman and CEO of Coloramics, President of Marantz Company, JBL, Jensen Sound Laboratories, and is currently the chair of the Board of Trustees of the House Ear Institute. He received his BA from Trinity College and MBA from the Kellogg School of Management.